A thick, bold structure for a handsomely crafted coffee table. 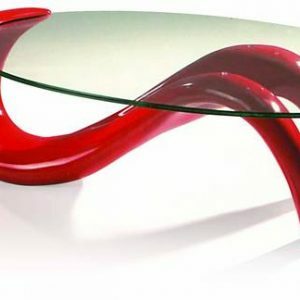 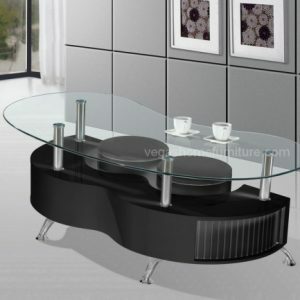 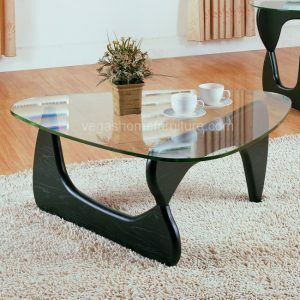 I-shaped legs connect the table top and round shelf base together to form a strong and daring accent piece. 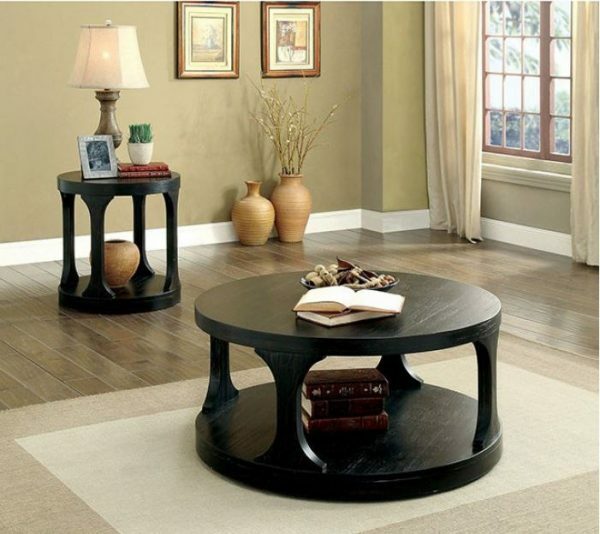 Its lower shelf offers extra storage space to organize your living room or display home decor elegantly whilst its antique black finish warms up your home!